Sun Tzu was a revered Chinese general, strategist, and philosopher. He is credited with one of the most influent military treatises ever written, The Art of War. Countless leaders have drawn inspiration from this work, from Mao Zedong to General Douglas MacArthur. It is so powerful and straightforward that it is still influencing many domains other than military thinking, like business tactics, legal strategy, entrepreneurship, and beyond. 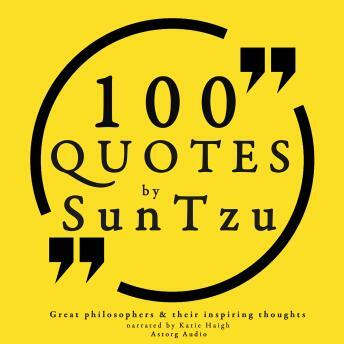 We have selected from you 100 of Sun Tzu's most powerful quotes, for you to gain a new understanding in interpersonal dynamics, strategy, and everyday life.